Today every business relies on IT in some way or form. With the increasing growth of business and technology tools from tablets to iPhones, file sharing and remote working it can be hard for business owners and decision makers, like yourself, to keep track of what’s the best solution. Am I right? Cloud computing has become the key solution to SME’s computing needs. 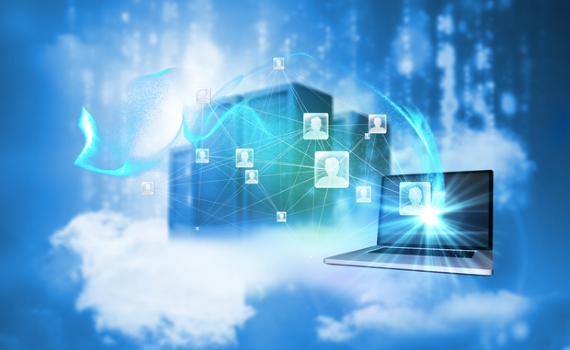 The cloud is a new innovation in computing which has revolutionised the way we use data. This case study shows how cloud computing has helped one of our clients, GTK installations, improve their business needs and put them on them on a level playing field with even larger businesses. Tracey and Gordon Lawrie at GTK Installations run a successful business outfitting offices and industrial premises throughout the UK. Gordon often works away from the office at clients’ premises and they have a holiday home many miles away from their base. However, the work that GTK Installations carries out requires out-of-hours and weekend working so Tracey and Gordon require access to emails and documents round the clock. They need versatility and flexibility in their business operations. Something which the cloud has allowed them to achieve seamlessly. Gone are the days when staff are restricted to working only from the office to carry out their day job. Whether it be an employee visiting a client and needing access to the network for documents or an employee working from home due to snow or a sick child ‘The Cloud’ can be the solution. With a monthly subscription plan GTK Installations can add more users at anytime and each user can access Office 365 on up to 5 PCs, laptops and tablets, and 5 smartphones. The greatest benefit to GTK Installations is having online file storage and sharing, and online email which means that Gordon and Tracey can access documents and emails from any Internet enabled location or using their smartphones no matter where they are and at any time of day. In addition they can be sure that they are always looking at the latest version of any document no matter who created or amended it last.